“I did tax in my undergraduate studies and really loved it,” Jack says. 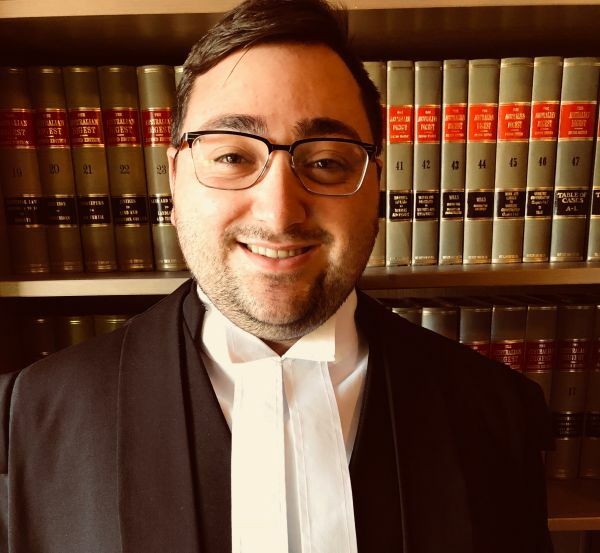 After graduating with a Bachelor of Arts and Bachelor of Laws from La Trobe University in 2016, Jack decided to enrol in a Master of Tax at Melbourne Law School (MLS). “Coming off the back of doing honours and a double degree I had the academic momentum to do the masters to a high standard,” he says. Jack has just finished working as a Senior Associate at the Victorian Court of Appeal. The cases he has worked on range from state taxation law matters through to a number of criminal law matters. “Being an associate gives you an insight into to life at the Bar, which is where I want to head,” he says. The flexibility of the masters program has enabled Jack to balance the demands of full-time work and full-time study. He has taken advantage of a number of the evening classes on offer in the Master of Tax. “They were long days, but they were worth it!” he says. For Jack, being taught by leading industry professionals has been a highlight of his experience at MLS. “The lecturers in the masters are not just there to teach, they really care about investing you with knowledge – it’s a generational baton that they are passing on,” he says. Jack says the masters program has also provided him with key networking opportunities. “I have been able to meet a broad section of the tax community in a very short period of time,” he says. Flowing from his studies, Jack has a secured a job as a senior consultant and solicitor in the tax controversy group at Ernst & Young. “The last year of study has been one of the best academic experiences of my life,” he says.